Liquid Irish: One week to go! Only a week to go to the marathon. My goal this year is to get around the whole circuit in just three-and-a-half hours. I should have trained more. Last year was a disaster. I completed just half the course. And that was in a smaller venue; this year’s Whiskey Live takes place in The Printworks, Dublin Castle. If I get to visit all the Irish stands I’ll be happy, but that’s what I hoped last year too and I didn't succeed. The problem is that it’s just too enjoyable. A chance to grill the makers and purveyors of my favourite spirits? And they can’t escape? Heaven. But I lose track of time. Next Saturday, I will try the latest whiskeys and fill the gaps in my tasting of older stock. I’ll hear whispers of what’s in the pipeline and what’s being discontinued. Perhaps I’ll even meet prospective distillers on the floor revealing their intentions publicly for the first time. If you already know you like whiskey, don’t miss Whiskey Live. Just don’t. 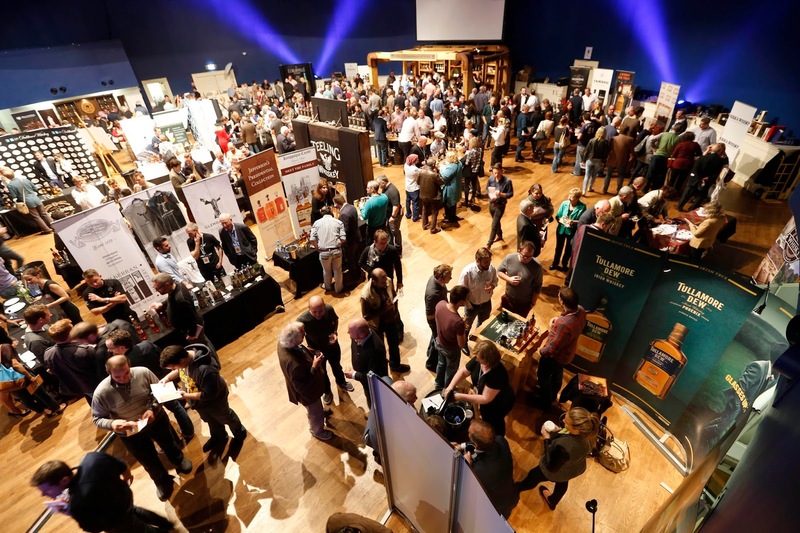 If you think you might like whiskey, Whiskey Live is the best chance you’ll get all year to zero in on the styles that appeal most to you. Every Irish person should have an informed position on one of our greatest national products. If the government cared about education, whiskey appreciation would be taught in schools. Until that enlightened day arrives, Whiskey Live is where the self-taught gentlemen and lady scholars gather. I’ve been to every Whiskey Live in Dublin so far. It’s a highlight of the year, a brilliant few hours. Don’t dither, buy a ticket before they sell out. You’ll thank me.